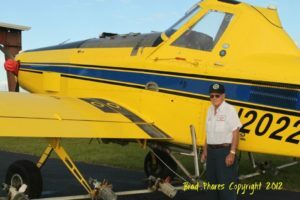 Founded in 1953 by Chuck Stone and now owned and operated by Rick Stone, Southeastern is the premier agricultural aircraft company in the Southeast. Our expertise includes aerial application, Air Tractor sales and aircraft maintenance. We provide aerial application services for citrus, as well as other fruit and vegetable crops, pasture and mosquito abatement. We have been an authorized Air Tractor dealer since 1977.